Westworld Season 1 Blu-Ray & DVD Release Date Announced! 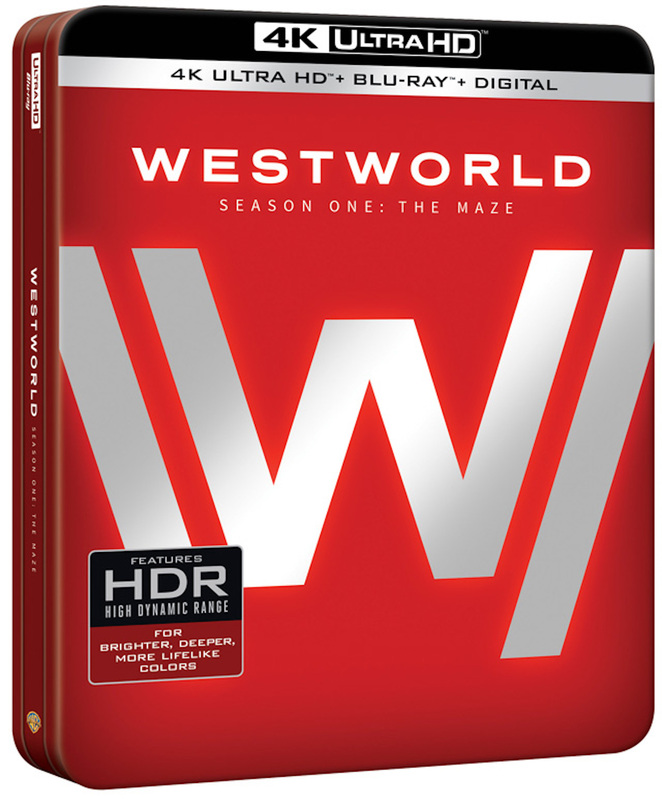 After what has seemed like much too long a wait, HBO has finally announced the Blu-Ray and DVD release of the first season of Westworld. However, this isn’t your standard disc release. As reported by Den of Geek via films_at_home, HBO is making history with this release by also including a 4K Ultra HD disc set! This marks the first television show to ever get a 4K release along with standard Blu-Ray and DVD formats, and I must say, I cannot think of a more worthy series to blaze this trail of technological history. Now, the question remains – when can all this be yours? According to HBO, the Blu-Ray/DVD/4K package will be available beginning November 7, 2017. The entire disc set will be packaged in a collectible SteelBook case, and will include a premium collectible booklet. In total, there will be 6 discs in the set: 3 devoted to the 4K episodes, 2 for Blu-Ray/DVD-formatted episodes, and a final disc for bonus content. I don’t know about you, but I will definitely be getting my hands on a copy as soon as it hits stores in the fall! Luke Hemsworth Starts His Season 2 Filming “Later This Month”! Westworld at San Diego Comic-Con, Plus 2 New Pop! Vinyl Figurines! Pre-ordering mine from amazon within the next few days. Finally!! And in 4K! Awesome! Amen!! As if the show didn’t already look good enough, it’ll be all the more amazing watching it in 4K. I wonder what there will be in the way of episode commentaries. There are lots of moments and themes in Season 1 I’d be very interested to hear the showrunners’ and cast’s perspectives on (plus there are quite a few cast members who I can imagine would be very funny and entertaining talking about their characters, scenes etc).